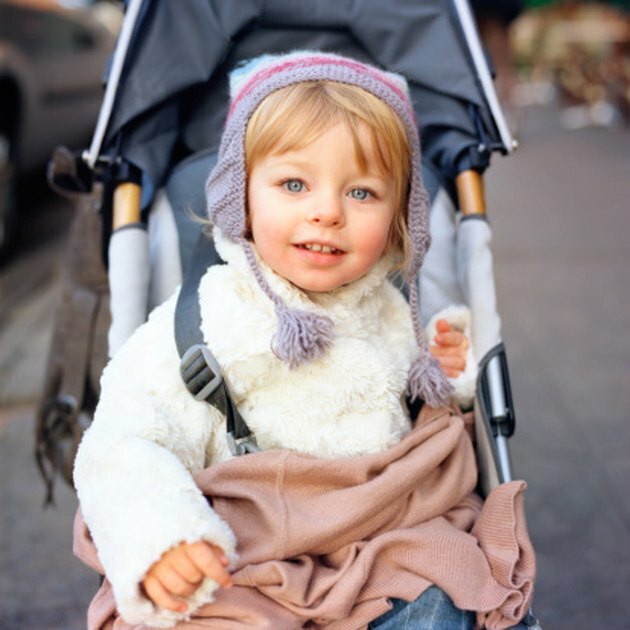 Making sure your stroller is well assembled ensures the safety of your child. The Graco stroller has three different stroller sizes and models which do not vary in assembly instructions. Whether you have double strollers, full-size strollers or lightweight strollers, the instructions are the same. Make sure to follow all guidelines and tips to ensure the best safety for your baby. Strollers can be easy to put together, and should take no time at all. Open the stroller canopy. You will know it is open when it snaps into place at the sides of the canopy. Try to make sure that you cannot open the canopy easily by trying to fold it. Turn the stroller over on its end where the wheels are placed. Place wheels (if not already attached) to the four end bars on the bottom of stroller. These should snap in place. Test that they are fully secured by tugging on the wheels. Attach the rear axle on the bar adjacent to the wheels. Make sure the brake levels point outwards, away from the stroller itself. Make sure the axle is attached firmly by pulling on it slightly. Attach each hub adapters onto each wheel. The grooves on the adapter should indicate which side the hub is secured. Usually this will be pointing to the inside of the stroller on each wheel. Turn the stroller on each side and place wheel caps in place. This will be on the side of the wheel facing outwards. Lightly tap the hubs into place with a hammer. Snap the parent's tray in place on the handlebars, if desired.